A truly elegant vertiacal Halloween menu board. 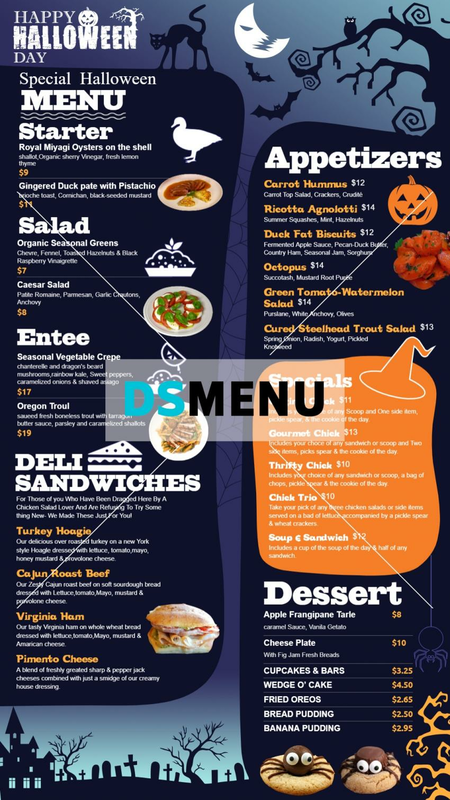 The blue color background is used excellently in light and dark shades to delineate the white typeface of the menu as well as depict the nightime significance of Halloween. On a digital menu board thie template will really be a steal !